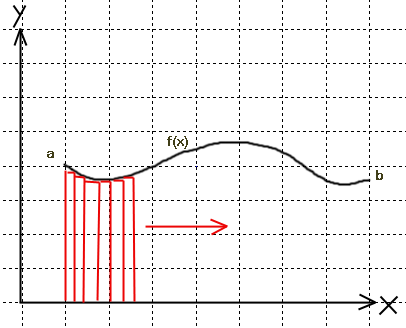 What are indefinite integrals used for? In integral can be thought of as an area underneath a curve. Integrals are often used to manipulate position, velocity, and acceleration equations to estimate different situations. If you are given an equation that represents the velocity of a golf cart driving, like so: (the ‘ in y’ represents the differential element that results when one performs a derivative on the position function f(x).) then you can find use an integral (Anti-Derivative) to get an expression for the position of the golf cart, y(x). Here the integral is performed on the function from point a to point b, which would make it a definite integral because the bounds are defined. Our indefinite integral is the same procedure, except missing the bounds, which makes indefinite integral operation require a little twist. We all know that the derivative of a constant is zero. For instance, the derivative of 5 is equal to zero. Once performing this derivative, we should still be able to perform the anti-derivative on this new function (zero) to obtain the original equation (5). But how will we know what number permeates from performing an anti-derivative of zero. An indefinite integral is called indefinite because the bounds are not defined on the integration, like so: . When we perform our indefinite integral we represent this long-lost constant by the letter ‘C’. The integral can also be split up into separate individual integrals if there is addition in the function you are integrating. and whenever you add these integrals together, you only need to account for 1 of the constants (C). We can solve for our constant, C, if we are given initial conditions, such as the golf cart was moving at y'(0) = 1 m/s when we began collecting our data. Otherwise, we leave the integral in this form. If you would like to learn how to perform a definite integral, refer to our article on definite integrals.